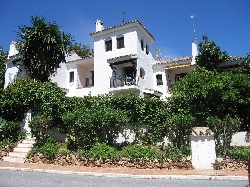 VILLAS AND APARTMENTS TO RENT IN PUERTO BANUS, SPAIN. 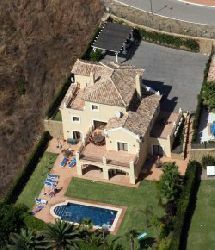 Welcome to our selection of holiday homes to rent in Puerto Banus, Spain. Looking for self catering holiday accommodation in Puerto Banus? Then below is a selection of holiday villas in Puerto Banus and holiday apartments in Puerto Banus that can be rented direct from their owners. You can either click on each listing for further details or you can use our search engine on the left if you are looking for something in particular. The Benalmadena Marina has picked up a number of awards over the years such as 'The worlds best Marina' Award which makes visiting the marina a must. Why not visit the Puerto Banus cinema? Open 24 hours a day, and playing both English and Spanish films, the cinema is a place the whole family can enjoy. The cinema is a big complex and has a cafe and a restaurant to suit most eating preferences. If the cinemas not your thing, why not visit the aquarium? There is a whole range of activities to be experienced such as swimming under the careful eye of a swimming instructor with aquatic tanks surrounding the pool. There�s a whole range of animals to see, such as; rays, lobsters, eels, and small sharks. They children may even get the chance to feed the baby rays. Local 6 - 7. Casa Q.
Puerto Banus is just west of Marbella. The Puerto Banus beach stretches 1km and it�s those golden sands, which attract many tourists to visit what once was a small fishing town.